Five favorite Pinkalicious stories in one volume are pinkatastic enough, and the read-along CD plus pages upon pages of activities, jokes, recipes, and more are the icing on the cupcake! 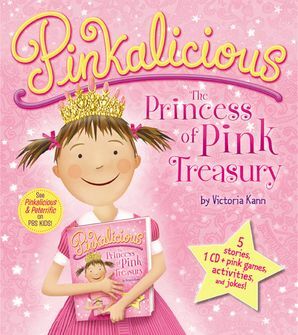 Readers will delight in acting out a play starring Pinkalicious, and writing special pink stories. Get ready for pinkerful days of fun with Pinkalicious!